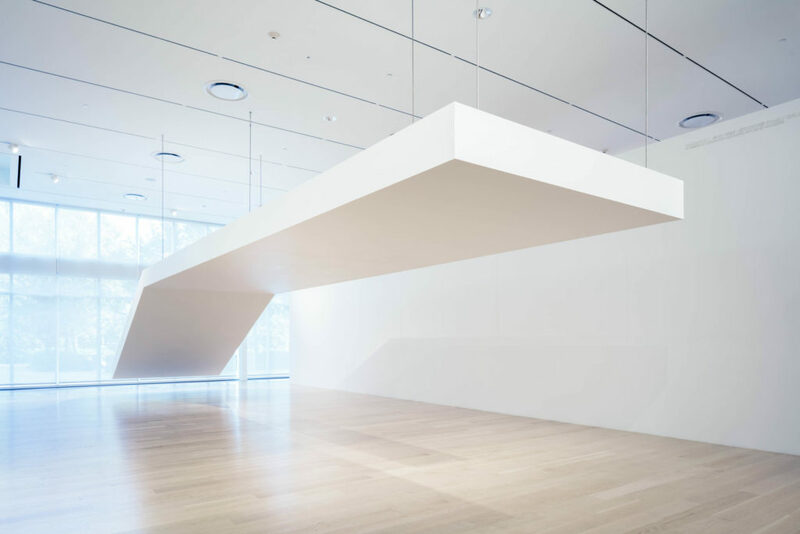 Installation view: Robert Grosvenor, Untitled, 1968/2019, at Institute of Contemporary Art, Miami. Jan 17 – Jun 2, 2019. Photo: Adam Fratus. Using commonplace materials, monumental scale, and poetic form, Robert Grosvenor (b. 1937, New York) has produced some of the most radically unique sculptures of the postwar period. His works maintains a rich historical dialogue with Minimalism while transcending some of its limitations. Complex and allusive, the sculptures also engage site in unexpected ways, provoking profound aesthetic experiences. Grosvenor held his first exhibition in 1965 at Park Place Gallery, New York, which he founded with Mark di Suvero. Already at this time he was generating bold sculptures that challenged the limitations of the medium. At ICA Miami, Grosvenor will, for the first time in more than fifty years, recreate one of his most iconic early works, Untitled (1968). 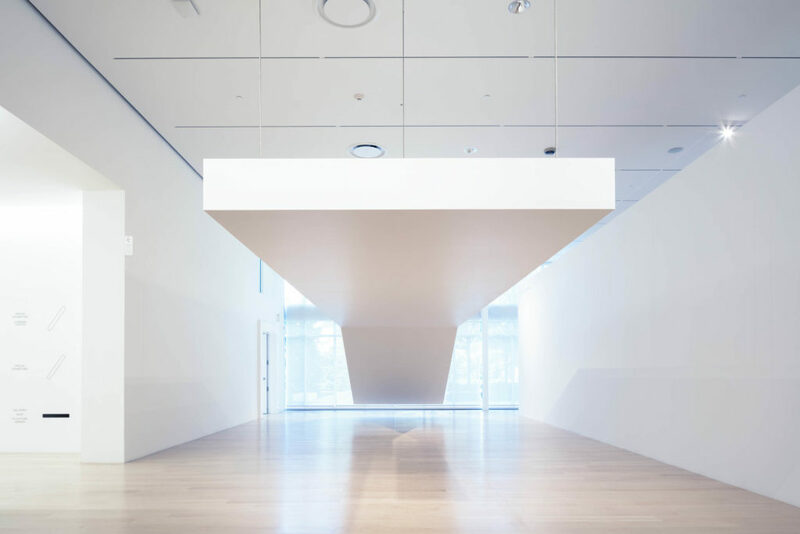 A folded plane made of steel and painted wood and suspended in space, Untitled hovers above the viewer like a giant, abstract architectural canopy, creating a vital tension between its monumental scale and heft and the lightness suggested by its suspension. Grovesnor lives and works in New York and the Florida Keys. 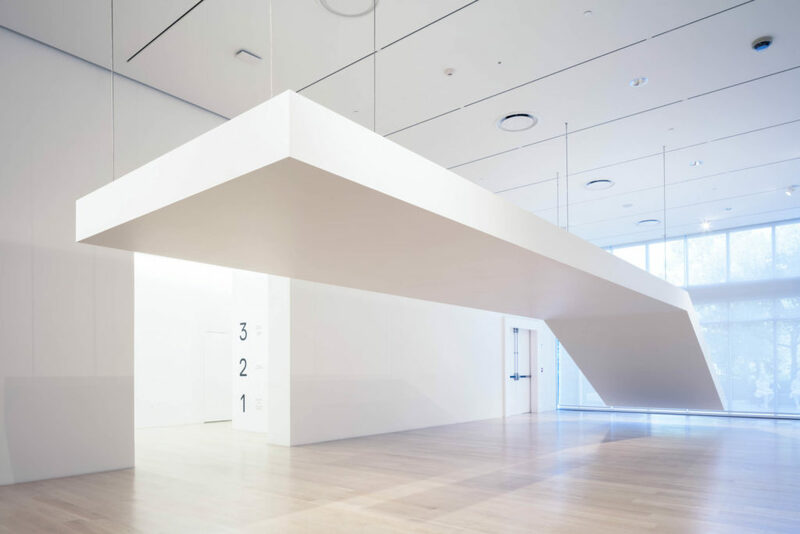 His work has been included in seminal exhibitions worldwide, including “Primary Structures” at the Jewish Museum, New York, in 1966, and “Minimal Art” at Den Haag Gementemuseum in 1968. Solo exhibitions of his work have been held at the Kunsthalle Bern; Renaissance Society, Chicago; MoMA PS1, Long Island City, New York; and the Serralves Foundation, Porto. Grosvenor’s work is included in the collections of the Museum of Modern Art, New York; Whitney Museum of American Art, New York; Museum of Contemporary Art, Los Angeles; Walker Art Center, Minneapolis; Storm King Art Center, New Windsor, New York; Museum of Fine Arts, Houston; and the Serralves Museum, Porto, among many others. This exhibition is organized by ICA Miami and curated by Alex Gartenfeld, Artist Director, and Gean Moreno, Curator of Programs. 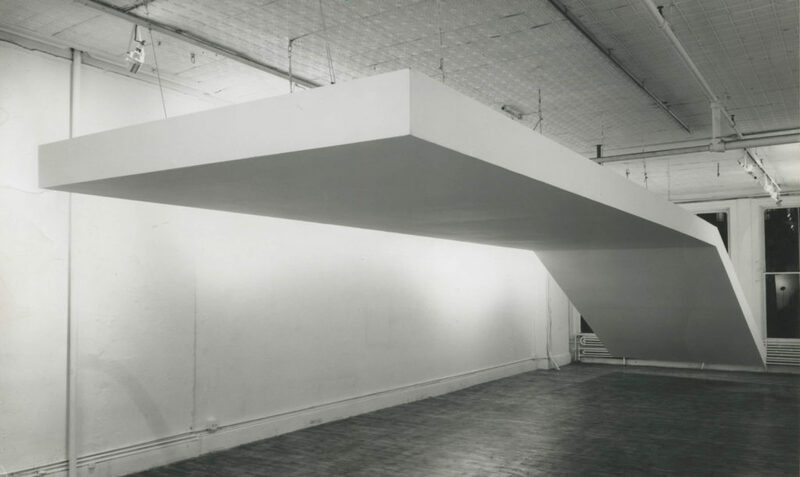 Robert Grosvenor, Untitled , 1968. Steel and plywood painted white. Installation view: Paula Cooper Gallery, New York, 1970. © Robert Grosvenor. Courtesy Paula Cooper Gallery, New York. Photo: Dan Lenore.